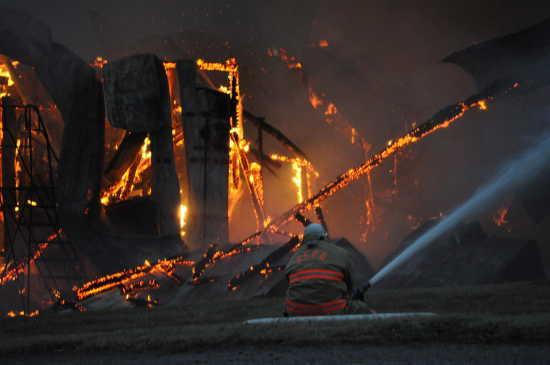 Gordonville firefighter working barn fire. This could happen to any local area farmer. But in light of this tragity local farmers came together and helped!! That is not something you see every day. People helping other people!! Actually, you are quite mistaken ajlandgraf. Around here I DO see this every day, people helping other people,thank you very much. I was not meaning to say that the emergency personal don't help when need be. I was refuring to the outpouring support that the family recieved to take care of livestock. This is not something that you see everyday we think everyone that helped in the family's time of need.